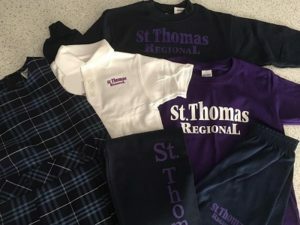 All St. Thomas students are required to wear the official school or gym uniform on designated days. We have two uniforms Spring/Fall and Winter. Please review the official school handbook for more information. Uniforms may be purchased at Donnelly’s.